Is there anything better than a fun and complete drawing application? An application capable of bringing together 4 drawing modes. 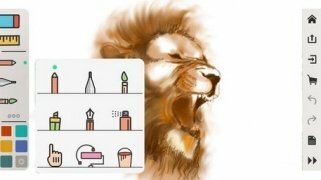 It's just as if you had 4 different drawing applications installed on your iPhone or iPad instead of just one. Forget about having drawing apps in one place, kids apps in another, and photo enhancement apps in another. As soon as you open Drawing Desk: Draw,Paint,Color & Sketch board you can choose with a single tap what you want to do, in other words, what interface you need on each occasion. 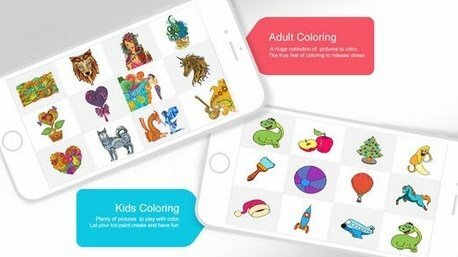 The app includes four totally independent canvases with a design adapted to each one of the 4 drawing modes that we break down below. 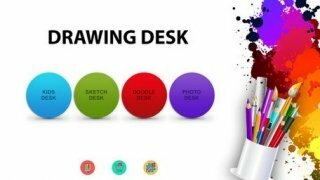 Kids Desk: it's a drawing interface for kids on which the youngest members of the household will be able to have fun with several kinds of brushes, bright colors, and funny stickers. 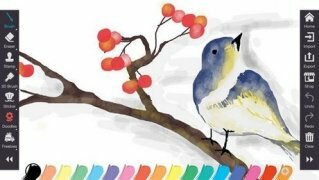 Furthermore, they can draw with music to unleash their creativity even more. Doodle Desk and Sketch Desk: these two canvases allow us to create sketches with pens and pencils, use painting and deletion tools, and make use of a great color palette. One of the differences between one and the other can be found in the collection of stamps and stickers available in the first of them. Photo Desk: finally, this part of the app is specialized in photo enhancements. 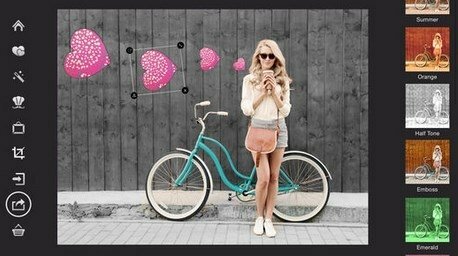 The user can import and export his photos, enhance them, and improve them with stickers, frames, and brushes as well as cropping them to his own liking. Draw, create sketches, paint, and modify your photos in a single application. As you've probably noticed, the greatest drawback of this application (as well as the in-app purchases) is its translation into other languages: a monkey could have done a better job. However, if you can forget the silly names given to each mode in languages other than English, you'll be able to enjoy a fun and complete application that's perfect if you only want to draw and enhance at an amateur level.